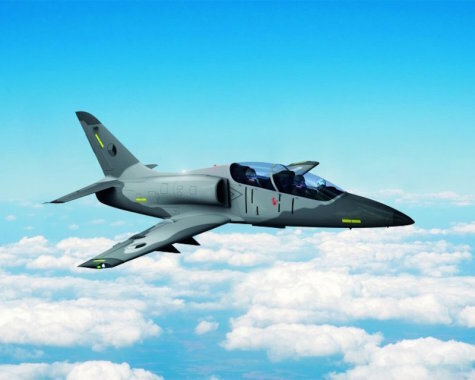 The President of the Republic of Senegal Macky Sall during the national celebration of the Independence Day announced a purchase of four L-39NG aircraft, developed by the leading Czech aircraft manufacturer Aero Vodochody. During the past years, Aero focused more on aerostructures business delivering to main international aircraft manufacturers. “The L-39NG aircraft is the new future of Aero Vodochody, the company that has been producing proprietary aircraft since 1919. The L-39NG is based on successful aero dynamical concept of the current L-39, but is manufactured with the use of new technologies and contains modern systems,” said Giuseppe Giordo, the president of Aero Vodochody. “Currently we also have two additional contracts in a very mature state of negotiation,” he added. In January, Aero has started the L-39NG aircraft pre-series production line. Aero is currently producing a total of four L-39NGs. The first and the fourth aircraft will be used for flight tests, the second one for static tests and the third for fatigue tests. The first flight of the new pre-series L-39NG is planned to happen in the end of 2018. Aircraft deliveries are expected to start in early 2020. The L-39NG aircraft is a modern and effective trainer designed as a unified, comprehensive training system for modern air forces. The L-39NG is based on the aerodynamic concept of the current L-39, but utilizes the latest technologies and equipment. Power is provided by the modern FJ44-4M engine supplied with the TAP Blue engine support service to ensure unprecedented airworthiness and predictable maintenance costs. The aircraft's avionics are prepared to train future pilots of 4th and 5th generation aircraft and can be tailored to the customer's requirements. The L-39NG is equipped with five hard-points for weapons. The aircraft also features a broad range of simulation technologies, including the integration into high-tech tactical simulation centers with the goal to increase training efficiency.